"In the Tenth Canto, 14th Chapter, 7th verse, of Srimad-Bhagavatam, Lord Brahma says, "My dear Lord, the inconceivable qualities, beauties and activities which You have revealed by Your presence on this planet cannot be calculated by any material measurement. 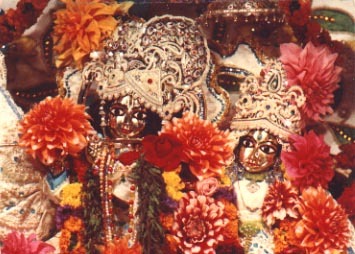 If one even tries to imagine that 'Krsna may be like this,' that is also impossible. The day may come when the material scientist, after many, many births or after many, many years, will be able to estimate the atomic constitution of the whole world, or may be able to count the atomic fragments that permeate the sky, or he may even give an estimate of all the atoms within the universe, but still he will never be able to count the transcendental qualities in Your reservoir of transcendental bliss."